We are providing coop tour route information in a few different formats so carefully review and select the best set of navigational aids before you start your tour! CAUTION: The cue sheets routes have been generated by a software package called RideWithGPS and there are times when it incorrectly says turn “LEFT” when it should be”RIGHT” or straight.. so navigate your coop tour with both the cue sheet, you own good sense of where to go and the printed maps! Review the route and all coop stops before your start your tour! This method is probably the best method to navigate the coop loop if you are smart phone enabled and tech savvy! To do this, you must download the RideWithGPS application ahead of time. 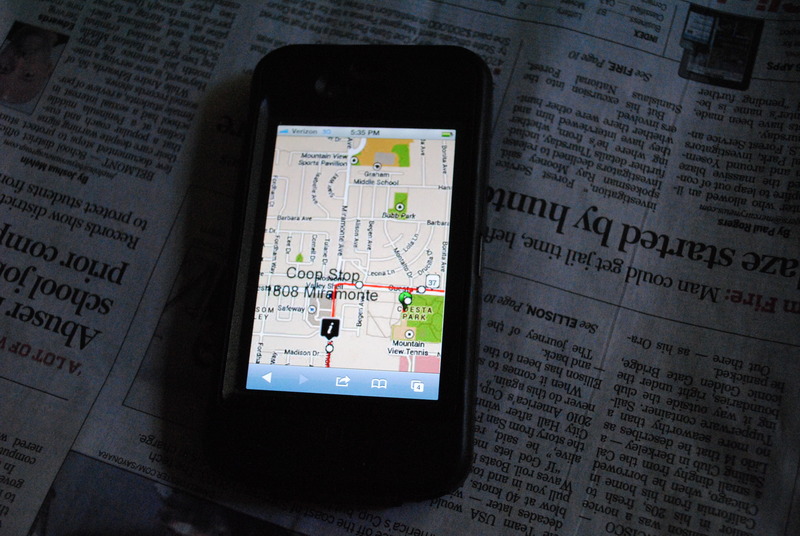 Each of the routes has a link to open it up first in a browser on your phone and then select run in application. You can also view the routes on your computer without the application on your phone. 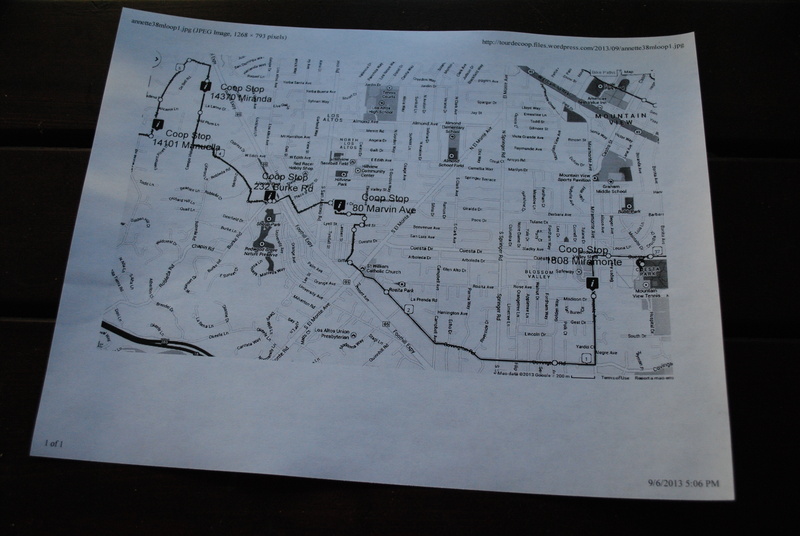 Each tour will include printable image map(s). It is best to click on the map image and then print that one image full screen with your web browser for maximum clarity. Some maps should be printed in landscape mode rather than portrait. The high contrast color is to allow for good black and white printing. Each tour includes a turn by turn cue sheet. 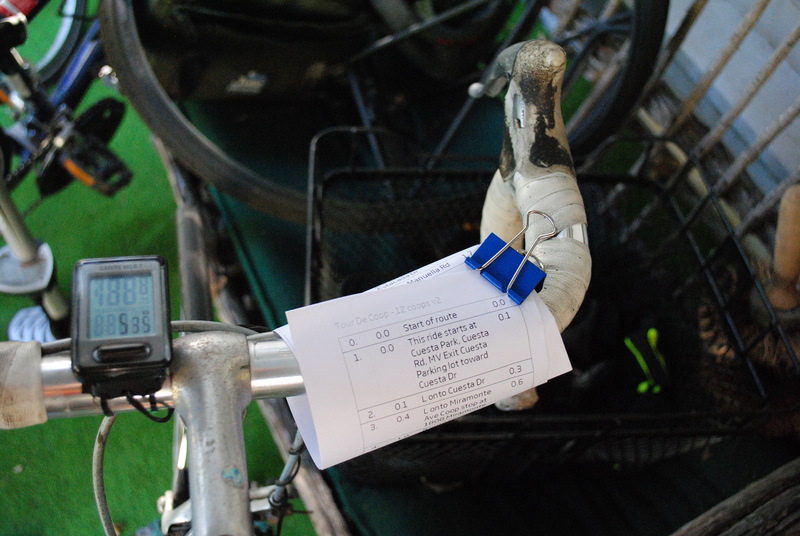 This is designed to be printed and then folded and clipped to your handle bars in some fashion with a binder clip for easy reading and access. Column one is the turn, Column 2 is the cumulative mileage from the start, Column 3 is the turn instructions, Column 4 is the mileage to the next turn. You do no need to download any app for your phone for cue sheet. What do you do if lost? 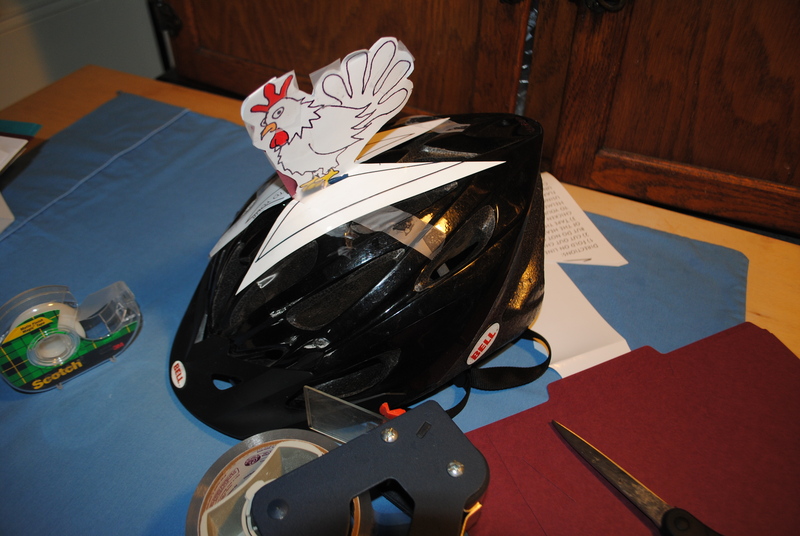 Look for other coop tourist wearing official coop tour chicken helmets and ask for assistance. Other coop tourists are always helpful. Backtrack to the previous coop stop and ask for navigational assistance.